If you’re considering having a baby, that’s fantastic. New York Comic Con with kids- what I learned…. Hi Everyone! Another offtopic post…from our most recent adventure, New York Comic Con 2016, with KIDS! Wow, it’s crowded and overwhelming for us newbies. Everyone was extremely nice, and the spirit was so positive. Continue reading New York Comic Con with kids- what I learned…. Great Wolf, Kalahari or Rocking Horse? Editor’s Note: So we wanted to add a great deal below for The Great Escape at Lake George, we have not gone yet, but plan to, if you have gone, let us know and we’ll share your experience about it! We love sharing people’s reviews! Continue reading Great Wolf, Kalahari or Rocking Horse? The saga continues with the feud of Dan Gutman vs Dan Yaccarino. Oh, you haven’t heard? Well you must catch up on the latest children book author rivalry. Here’s the link to our first look at these 2 beloved authors’ banter. And now we pick up where we last dropped off. Rainy day place to play? Hey here’s an indoor place to play while supplies last, NJ. The BJ’s display in Watchung. Well the kids verified that the minions are all working fine. QC done! So ever since Dan Gutman visited our school back in February, I’ve been a huge fan. Don’t get me wrong my kids were already fans of his books, the whole Weird School series and now my boys just finished “The Genius Files”. Favorite NJ park to exercise, bike, walk, jog or hike? Continue reading Favorite NJ park to exercise, bike, walk, jog or hike? Beyond Playgrounds- 100 Days of School! If you are like me, we are nearing the 100th day of school, and the kids have projects due this week. Post your pictures on our Facebook Fan Page, and we will add them here too. Continue reading Beyond Playgrounds- 100 Days of School! The following is a list of some of our favorite things to do during the holiday season with kids in New Jersey. We tend to opt for the less crowded or more creative, nature driven activities. However, we’ve also added some favorites from our fans and will continue to add anything you all tell us is worth visiting! Check out our list of holiday events, ongoing activities, train rides and winter break mini-camps and more! We are always looking for new places to play so if you find a great outdoor playground that’s not already on our site we’d love to hear all about it and see your pictures! Editor’s Note: Welcome to our first playground safety article from our newest sponsor, East West Playground Consultants LLC. We hope that these articles will serve a great resource for NJ parents! Update- 3/27/2011- I was able to capture the comments up till now, and created a listing for all SSEQ playgrounds. However, I still need your help: a few of the playgrounds in the comments don’t have photos or descriptions yet on our website (Oakland, Pacifico-Gallo), email me if you have some! Planning a birthday party? Consider these NJ based businesses and venues. Each one offers a unique location or service to make your next party great! Want to be part of this directory? Click here to find out how to list your business. Are you ready for some non-playground related stuff? 2010 is here, and I started a new project to inject a little more interesting fodder in a parent resource blog/information tool. 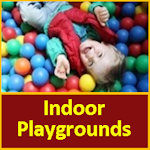 So, it’s official, my workload is not much but I continue to pursue this little passion of playgrounds, and I’m hoping to make it a wonderful site and resource for NJ parents. At the same time, I do want to make it profitable to cover my costs of traveling, visiting and hosting. Can you guess where I upgraded either a theme or upgraded wordpress? Yeah, it’s in my footer.php and I always forget to add it back in, twice… Thanks to @doublelattemama she told me there’s a plugin, I’ll have to look into it, because clearly I can’t rely on my aging brain cells. What obvious NJ fave playground are we missing? Want to add a park? Check out our latest promotion from Imagine That!!! Become a roving reporter to cover your favorite park and earn free admission! Or, if you just want to share your favorite place with other readers, comment below! Are we missing your favorite playground? 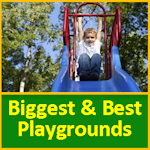 Continue reading What obvious NJ fave playground are we missing? Have you ever searched “park with no woodchips”? How often do you hear your sandal wearer complain about having to take their footwear off to remove them? Continue reading Hate wood chips?